1. 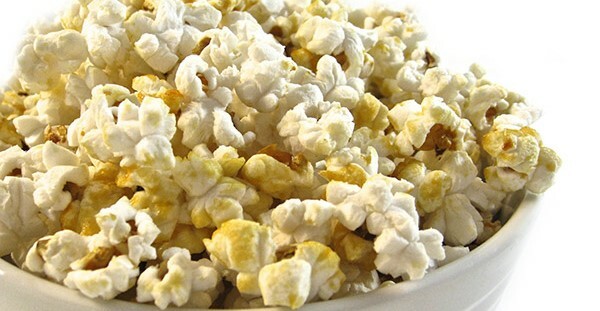 In a large, deep nonstick pan or pot add the oil, sugar, water, popcorn and mix together until all kernels are coated. Shake to spread out over pan. Cover and heat on medium-high heat. Shake the pan often to keep the sugar from burning. Once the popping has started, shake pan continuously until all kernels have slowed to once every 2-3 seconds, remove the pan from the heat and continue to shake until the popping has stopped. 2. Immediately pour into a large bowl so it doesn’t burn the popcorn. Sprinkle with a little salt and serve warm. It’s delicious at room temperature too! Store any leftover kettle corn in a plastic bag or airtight container.